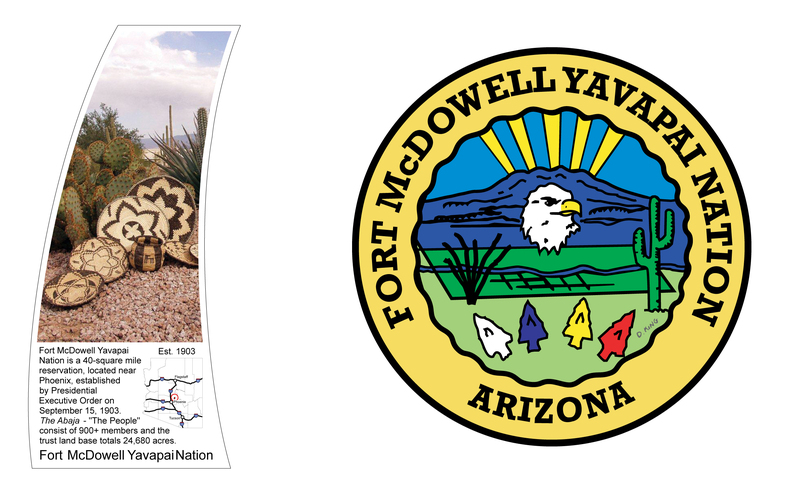 The Fort McDowell Indian Community Reservation covers 24,000 acres of semi-arid land north of Phoenix, Arizona. The reservation was established by Executive Order on September 15, 1903. Approximately 600 members live on the reservation. Although the Verde River flows through the reservation, and the confluence of the Verde and Salt Rivers meets just below the reservation, the Community receives its water allocation primarily from the Central Arizona Project (“CAP”) and the Salt River Project (“SRP”). Originally the Community’s rights were adjudicated in the 1910 Kent Decree. The United States Attorney General initiated the claim to adjudicate the rights of both the Salt River and Fort McDowell Indian Communities. Unfortunately, the outcome of the proceeding was far from ideal for the Fort McDowell Indian Community, which received less water than it had been using previously. In the 1940s, the Community sued the federal government, the SRP, the State of Arizona, several cities, and local water users for damages. More than forty years later, these suits were settled in a comprehensive negotiated settlement. After five years of negotiation, the Community arrived at a settlement agreement in the Fort McDowell Indian Community Water Rights Settlement Act of 1990 (“Settlement”). In the Settlement, the Community received 36,350 acre-feet annually (“afa”) of water and funding to develop this water at the reservation. This Settlement involved a very complex series of leases and exchanges. Under the terms of the Settlement, the Community can lease 4,300 afa of CAP allocation to the City of Phoenix for a term of 99 years. Water may only be leased to entities within three different counties, and the receiving entities must assume a large portion of the delivery cost. The Community may also lease 13,933 afa of water acquired from each Harquahala Valley Irrigation District (“HVID”) if the Community wishes. In 2006, Senators Jon Kyl and John McCain sponsored legislation to enact the Fort McDowell Indian Community Water Rights Settlement Act. One of the development provisions of the original 1990 Settlement directed the Secretary of the Interior to provide a Small Reclamation Projects Act (“SRPA”) Loan to the Community in the amount of $13 million, to be repaid over 50 years without interest, to develop 1,584 acres of agricultural land. Under the Settlement, the Secretary was required to carry out all environmental compliance and authorized appropriations for all necessary compliance and mitigation with the construction of new lands for irrigation. The 2006 Settlement relieved the Community from its repayment obligation and simultaneously relieved the Secretary of his obligation to carry out the environmental mitigation which accompanied the reservation water-delivery system. The Community is restricted to using its SRP water allocation within the SRP “stored water area” (with the exception of water used for the Community’s domestic supply). Section 15.0 of the Settlement restricts the Community to using all water on the reservation with the exception of the water discussed in Section 20 of the Settlement. The Community can use water for “any beneficial use or reuse” on the reservation. The purpose of the Settlement is to “provid[e] . . . sufficient water from various sources to irrigate 4,000 acres of agricultural land and to develop 18,350 acres for urban and other users within the Community reservation.” One of the primary uses of water on the reservation is farming. The Community harvests alfalfa, pecans, citrus, and barley on approximately 2,000 acres. Production of these crops brings in approximately $3 million in annual revenue to the Community. The Community also has several business enterprises, including the Poco Diablo Resort, a Radisson, RV Park, casino, golf course, gas station, and materials business. Markedly, the Settlement includes a minimum flow provision in the Verde River. The Settlement states that the SRP shall maintain a minimum flow in the Verde River below Bartlett Dam by releasing no less than “100 cubic feet per second of water (measured at the U.S.G.S. gauging station immediately below Bartlett Dam) from Bartlett Dam at all times, plus the amount of water necessary to satisfy any diversion between Bartlett Dam and the confluence of the Salt and Verde Rivers,” including diversions by Rio Verde, the Community, and the City of Phoenix’s infiltration gallery and pumps. This minimum flow provision is not absolute. Section 16.2 of the Settlement continues to explain that the minimum flow may be interrupted because of drought, compliance with other user agreements, and necessary repairs for maintenance, accidents, or emergencies. There may be potential for the Community to market effluent. Section 5.0 of the Settlement states that the Community can develop and use effluent as the Community sees fit and that this shall not be included in the total maximum annual diversion right of 36,350 afa. The Community’s marketing contracts include marketing water to the City of Phoenix and the Phelps Dodge Corporation. The Community uses the money derived from these leases to contribute to the McDowell Indian Community Development Fund. Incorporated into Section 20.1.6-7 of the Settlement is a contract for water leasing. On December 11, 1980, the Secretary of the Interior and the Community contracted for the delivery of 4,300 afa of CAP water to the City of Phoenix. In the Settlement, the parties extended this lease through 2099 with the possibility of a subsequent renewal. Under the amended contract, the Community will continue to lease 4,300 afa to the City of Phoenix annually. This “Project Water Lease Agreement” was approved as an appendix to the 1993 Settlement agreement. The Fort McDowell Indian Community has declined to participate in the interview portion of this project. Consent Decree, Hurley v. Abbott (No. 4564, D. 3rd J. D. Ariz., Mar. 1, 1910). In the Kent Decree the Community was awarded 390 miners’ inches of water. Arizona Desert Wilderness Act of 1990, PUB. L. No. 101-628, 104 Stat. 4469 (1990) [hereinafter Settlement] (The Settlement is contained in Title IV of the Arizona Desert Wilderness Act. The Settlement papers were actually signed by all parties in 1993 and a final decree entered by the Arizona State Supreme Court). 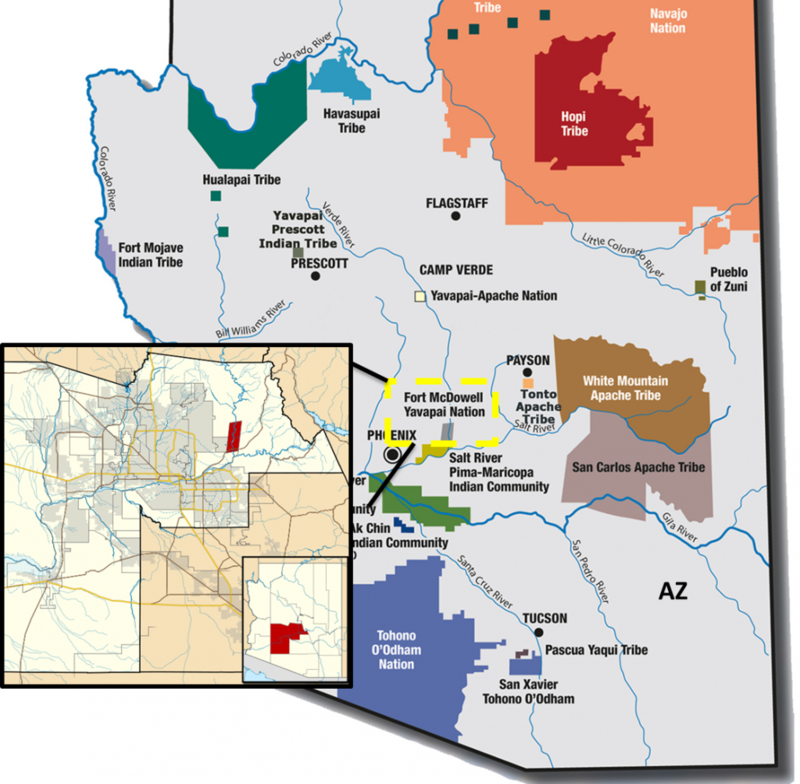 The Settlement was an agreement between the Fort McDowell Indian Community, the United States of America, the State of Arizona, the Salt River Valley Water Users’ Association, the Salt River Project Agricultural Improvement and Power District, the Roosevelt Water Conservation District, the Central Arizona Water Conservation District and the Arizona Cities of Phoenix, Scottsdale, Glendale, Mesa, Tempa, and Chandler and the Town of Gilbert. Jon Kyl, Issue Position: Native Americans, Project Vote Smart (Jan. 1, 2011), http://votesmart.org/public-statement/579830/issue-position-native-americans#.UWDxFleN6So. Fort McDowell Indian Community Water Rights Settlement Revision Act of 2006: Hearing on H.R. 5299 Before the Subcomm. on Water and Power of the H. Resources Committee, 109th Cong. (2006) (statement of William E. Rinne, Acting Comm’r, Bureau of Reclamation, U.S. Department of the Interior). Id. § 9.6 (this water is “available by SRP only for non-agricultural uses solely within the SWA on lands having no prior history or agricultural irrigation”). Id. §§ 9.3, 9.6. (2,000 afa of the SRP water is “available by SRP only for non-agricultural uses solely within the SWA on lands having no prior history or agricultural irrigation”).